Is it possible that your partner or spouse who has Asperger's (or high-functioning autism) also has Oppositional Defiant Disorder (ODD)? The answer is: Yes! As many parents can attest to, ODD is not an uncommon comorbid disorder in children with Asperger's and High-Functioning Autism. Most kids with ODD outgrow the disorder by age eight or nine. But, about half of them continue to experience symptoms into adulthood. These people report feeling angry most of the time, and about 40% of them become progressively worse and develop antisocial personality disorder. 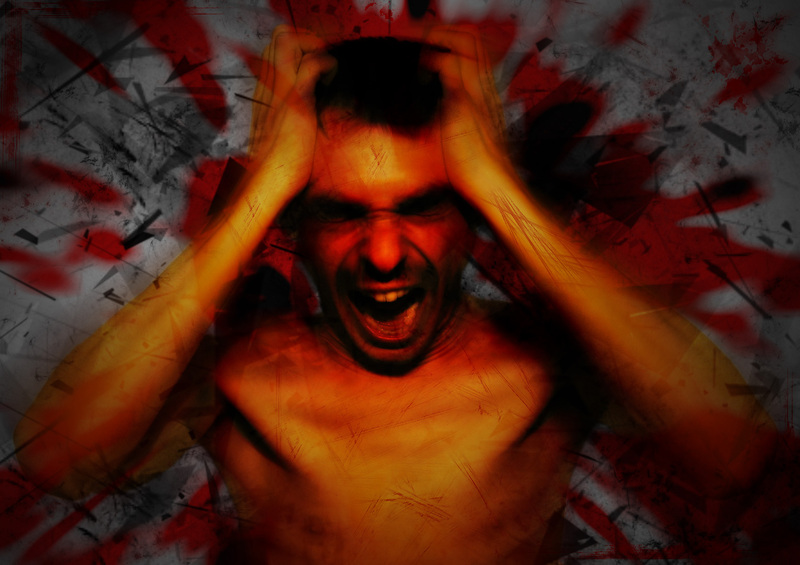 Adults with ODD often feel mad at the world, and lose their temper regularly (e.g., verbal abuse, road rage.) Constant opposition to authority figures makes it difficult for them to keep jobs and to maintain relationships and marriages. They are particularly quick to anger, are impatient, and have a low tolerance for frustration. They usually feel misunderstood and disliked, hemmed in, and pushed around. Also, they often defend themselves relentlessly when someone says they’ve said or done something wrong. Are some ODD behaviors more serious or severe than others? Any behaviors which would cause an adult to move from job to job or have serious difficulty in relationships with others (especially spouses) could have strong, negative consequences. Are there any other conditions that can be associated with ODD? Can an ODD adult be diagnosed as both ODD and ADHD? ODD is diagnosed by an appropriately certified or licensed health service professional that assesses a client and makes the diagnosis as it pertains to established criteria. The most commonly used criteria are found in the most current edition of The Diagnostic and Statistical Manual of Mental Disorders. How much do external events and circumstances play into ODD? They can easily make the ODD much better or much worse. I find my husband is defiant toward some people, but not others. Why is this? ODD behavior is highly reactive to the environmental situations and circumstances. This certainly includes differences in authority figures, how they relate to the ODD adult, and how they "package" their expectations. My ODD husband went to a counselor and was told after one visit that there was nothing wrong with him. I was totally frustrated about the whole thing. Why would a counselor say this? The ODD adult, for awhile, can look perfectly fine in every regard. This is why a good therapist or counselor puts more stock in the “hard” facts about the client, not what the client is saying or doing in early visits. If my ODD husband is depressed, what can be done to help him? The depression needs to be evaluated and treated. It is common for oppositional and defiant behaviors to lessen as the depression is addressed. Sometimes medication helps. Is lying a typical behavior of ODD? It certainly can be. Usually, behaviors like lying differ from one individual to another as they become more severe in their behaviors. Many professionals believe that lying and stealing often go together. Although there probably isn't an "ODD gene," characteristics like disposition and temperament can probably be inherited. Is there any connection between ODD and the use or abuse of drugs and alcohol? There probably is a connection, but not necessarily a direct one. ODD behaviors can occur in adults who are unhappy. Alcohol and drugs are one kind of "self" medication. I've heard that many ODD adults are depressed? Is this true? Yes. About half of them also met the criteria for depression. My husband walks half a block down the street to help a senior citizen bring in her groceries, but he won't ever take out the trash at OUR house? Why is this? First of all, he wants to look like a good, kind and caring man. But consider that the job of helping the lady with her groceries is essentially a one-shot deal. Taking out the trash at home could last for years, not to mention the fact that we are much more direct in our behaviors of resistance and refusal with those who already know us well. Sometimes it seems to me that my husband actually enjoys it when I become upset with him. Why is this? He has gotten the satisfaction of knowing he has gotten to you. This “trap” is one of the toughest ones for spouses to deal with. What about "passive-aggressive" behavior? Is that the same as oppositional defiant? “Passive-aggressive” behavior is a term that was used to describe both children and adults before there ever was a classification of ODD. Specifically, passive-aggressive behavior is but one type of oppositional and defiant behavior. Persistent and problematic passive-aggressive behavior in adults is more properly diagnosed using adult classifications, often falling under the general category of "personality disorders." What are some of the signs that a child might become Conduct Disordered? Things like family history, especially parents and siblings having trouble with the law, the activities of a child's "friends," a history of abuse or severe neglect in the home, use of alcohol and drugs, and a youngster's level of regard for others could all be indications. What happens when ODD children become adults? They can take their problems with them, causing difficulty in their relationships, marriage and work. The divorce rate, employment difficulties, and the abuse of alcohol or drugs is usually higher in this population of young adults. What is the difference between an ODD adult and one who is just stubborn? Stubborn people know when to give it up. They don't continue with their stubbornness to the degree and point that it creates serious hardships for them. Stubbornness can even be an attribute, such as a resolve that can shine through in tough times. Not so with ODD, which, by nature of being a disorder, works against the person's best interest. What is the difference between ODD and ADD? ODD is a psychological condition that, favorably or not, is responsive to external situations and circumstances. ADD (Attention Deficit Disorder) is brain-related, a neurological condition or immaturity that causes a person to have difficulty focusing on tasks. The condition of ADHD (Attention Deficit Hyperactivity Disorder) states that the person is additionally hyperactive and impulsive. What is the likelihood that an ODD adult will become more severe in his or her behaviors (aggressive and anti-social)? Here we're talking about serious, acting-out behaviors that could involve the law. Current data indicates about one in three ODD people will move on into a more serious disorder. What would happen if an ODD adult is depressed, but the depression goes unaddressed or untreated? Both the ODD and the depression will continue to worsen to the detriment of the individual. Self-injury or even suicidal attempts are a possibility. Is there any hope if my husband has this disorder called ODD? Most wives of ODD husbands find that the parenting strategies used with ODD children ALSO work with ODD husbands. Why? Because ODD adults are very immature for their age. You may have a husband who is chronologically 35-years-old, but emotionally more like a 21-year-old. So, yes there is hope! • Anonymous said... this sounds just like my AS husband. Only we're still married with a two yr old. I wish I could leave. I'm miserable. • Anonymous said... Hmm, I'm dealing with somebody like this. I was looking for how pyrroles treatment is tricky in people with Tourette's, and my eye was drawn to this term as one of the conditions often associated with pyrroles. Sure enough, it seems it applies to my freind. He is nearly 80 and since gotten more well is back to this stuff. Oppositional to reason when it doesn't suite him, and difficulties in accessing things. He opposes authority in a way he is not content unless he is expressing authority/superiority over other people. His history is like what has been described here. The thing about ODD ending abruptly when you are 18: As the term doesn't mention childhood, it should persist throughout life. • Anonymous said... I can't leave because I am on social security. Life is upsetting wirh him every minute if everyday. No cooperatiin the blaming nme fir stupid made up stuff in hus mind. Belittling me . I say blue he says green. Can't have an adult conversation discuss solutions to problems with him. He thinks he is right about everything. • Anonymous said... I have a boyfriend he has all the signs and symptoms of O.D.D. he told me he has ADHD. We were at a restaurant he got upset and started rage yelling the manager was going to call the cops.I was so embarrassed and ashamed. I have tried to end our relationship he always begs me not to leave. We love each other it's very exhausting. I told him he needs to get help If this relationship will work. He says he wants to change. He needs to show me. I've caught him in so many lies. • Anonymous said... 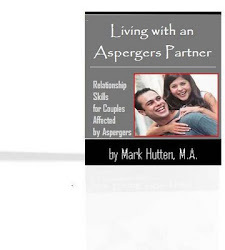 I have been living with an aspergers spouse with undiagnosed ODD for 26 yrs. Is it possible that the condition worsens with age? • Anonymous said... I have had enough of being an ODD parent to my husband - I am exhausted! • Anonymous said... I was told recently by my current mental health RNP that ODD is only a kid thing, and that I couldn't possibly have it because I am an adult. SO FRUSTRATING. • Anonymous said... last few days our class held a similar talk about this subject and you point out something we have not covered yet, thanks. • Anonymous said... My adult son has ODD. A Lifetime of struggles. Refuses therapy, self meditates with weed, unable and unwilling to live on any kind if budget, spends all his money on good times and weed, puts no priority into meeting his financial obligations first, always pressuring me into helping him financially. Always angry, emotional outbursts on a regular basis, he is a Terrible Son,also a terrible Father, drove wife away and 2 years later continues to obsess about her, refusing to accept it's over and blames everyone else for his plight. My feelings for him go from love to hate and wanting him to go away forever....but he won't, and no hope for change because he refuses to accept his condition or get any therapy. Went to family counseling for 8 years as a kid and never got help because HE REFUSED TO PARTICIPATE. Finally letting him move into a house I own 2000 miles away in hope that our relationship might improve. I'm over 60 years old and I'm exhausted with this.....dont I have a right to some peace and happiness without having some guilt trip put on me or some havoc being created to prevent me from living my life????? HELP!!!! !